I've been trying to coax Max into the shower for a few days now, but failed miserably every time. 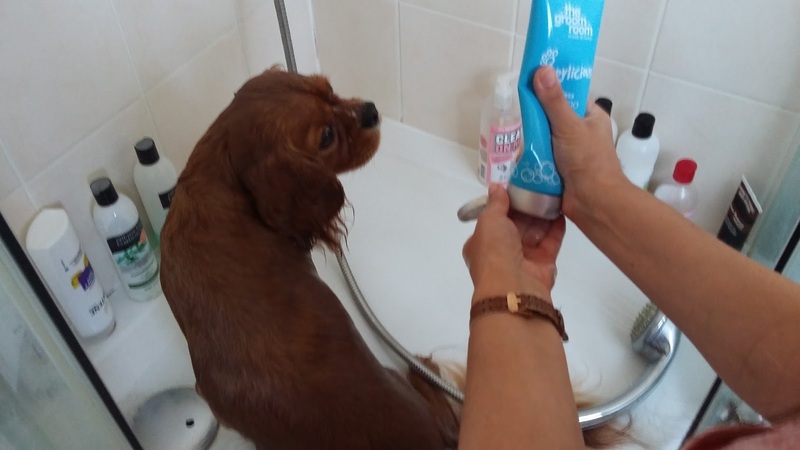 The problem being, that he knows the only time he is allowed in my bedroom is when he gets showered in my en-suite bathroom. However, today I had my secret weapon to hand, or rather Lydia, and with a joint effort we managed to get him in to the shower room. 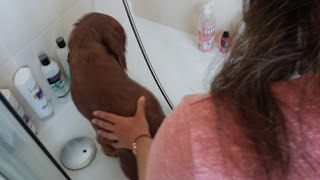 I was rather surprised, given that previously I'd not been able to get him through the bedroom door, to then find him wagging his tail in front of the shower. 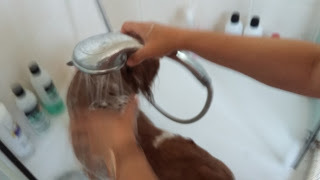 I have a sneaking suspicion that he thought it was Lydia who was being showered and not himself, but he was sadly mistaken! 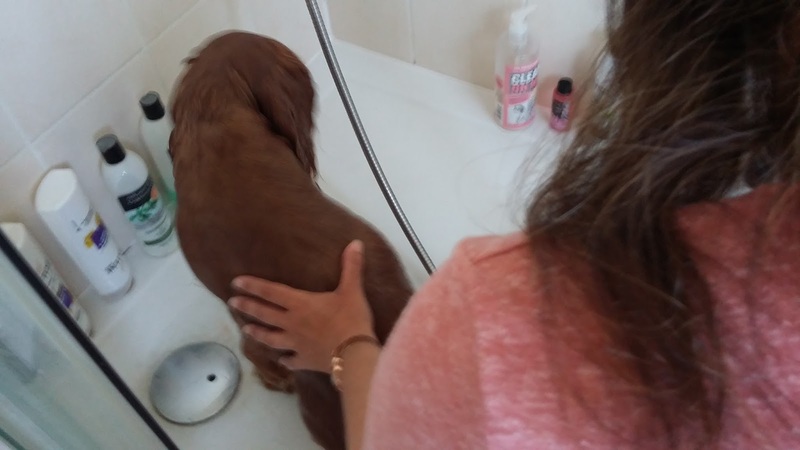 We got him in the shower and his tail stopped wagging, but he was good as gold and just sat there looking a little bit unhappy and slightly concerned about what was coming next. 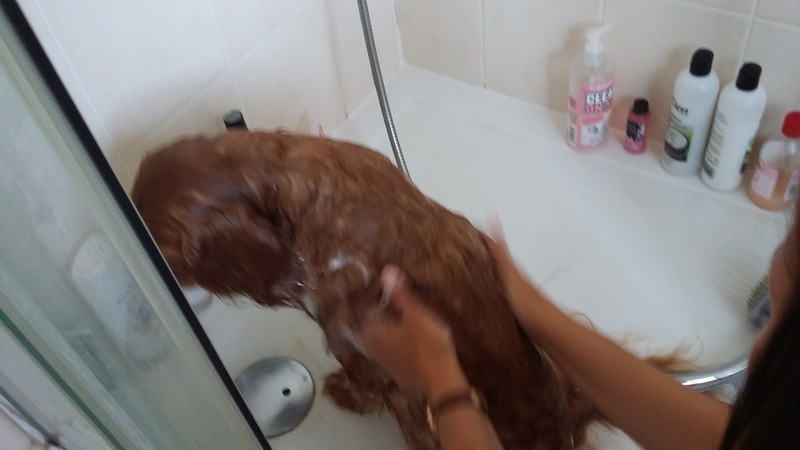 ...and he didn't seem too fed up about being rinsed off, which was just as well as it took a lot longer to make sure all those bubbles were gone. Then we were done and he could escape the shower and seek refuge in his big blue towel. We gave him a bit of a rub down, but he's a dog and you know that he was just dying to shake it off, and who are we to ruin his doggy fun; especially after we'd just forced him to be cleaned. 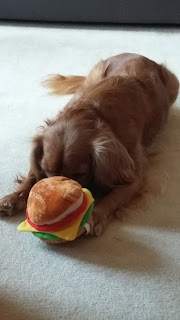 After a good shake, Max was fully energised and in full play mode, running around the house, rolling on the carpet (always a good way to dry yourself a bit more, apparently) and then grabbing his toy burger for a spot of fetch. This lasted for about 10 minutes, non-stop and now having worn himself out he's sulking on the sofa and looking rather fluffy. So yesterday was a bank holiday and just for a change, the sun was shining. Personally, I am of the opinion that the holiday reminder wasn't sent to the great weather controller, as let's face it, a sunny bank holiday is a rarity in the UK! And yet the sun shone on, oblivious to the fact that tradition states it should have been raining. Happy Days! 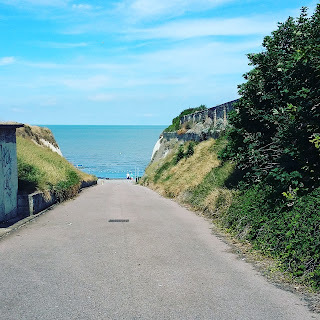 Little Orange Dog and I were without the girls this weekend, so when we were invited to visit friends by the sea, off we drove bound for the lovely Kent Coast. Before leaving, I took Max for a little walk, then loaded the car up with his food and water bowls, his tea, treats and his favourite toy. Honestly, it's like taking a baby out for the day, with all the stuff and nonsense we have to carry about, but then he is our fur baby, so it's fair enough really. I decided the best route to take to get to our destination was not the motorway, it's a bit boring and usually much busier, so instead took the prettier route (across country) and apart from a small delay due to an event in Faversham, the traffic was kind to us and we pretty much sailed through to our destination, Birchington; given it was a holiday this really was a pleasant surprise as I had been anticipating a nightmare journey. Having arrived, we parked up, unloaded the car and trotted up the road to meet our friends and for me to have a much needed cup of tea. Whilst enjoying our tea, Max set about covering every inch of the home and having a good old sniff as he went, familiarising himself with his surroundings and hoping to find some tasty crumbs lying around. 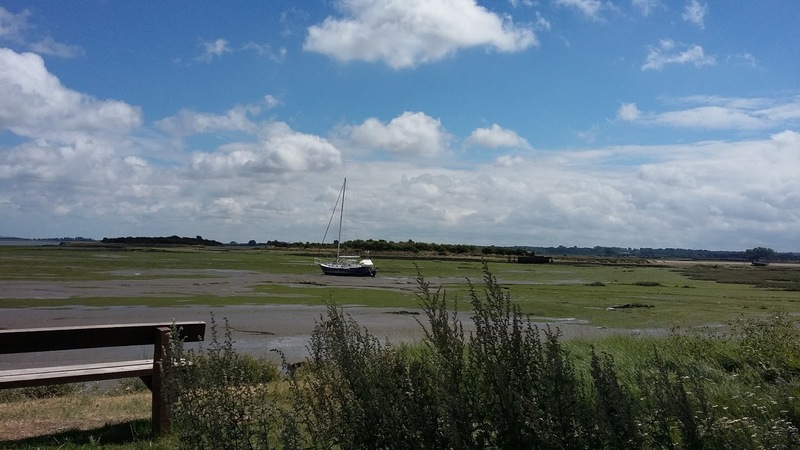 It was such a glorious day that we decided not to waste it and after distracting Max from his sniffing activities, set about getting him ready for a nice walk by the sea. Now, I have to apologise profusely here, as I had intended to take a series of photos as there were some lovely features along the sea wall (little doorways that would once have led down from the gardens above to the seafront, but it didn't quite work out and the only photo I managed to take was this one. Why only one photo? Oh, if only I could have bottled it for you, you too could have experienced the strong and heady (or perhaps that should be gut churning) odour of rotting seaweed that has become trapped in the bay with the sun beating down hot and heavy on it. Words really cannot describe the strength nor the foul smell, but I have visited better smelling public toilets. No, really, I have! As you can see, I took this photo from a fair distance away, as I was reluctant to lose the contents of my stomach and so retreated to relative safety (although it was still a little stinky). I'm actually impressed with how well it turned out as I took the photo one handed and with Max tugging me up the hill in an effort to escape the pungent aroma. 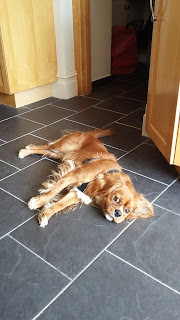 Anyway, we carried on up the road and took a slightly more rural, yet more pleasant smelling route home, where Max crashed out on the cool kitchen floor whilst we ate dinner. Okay, so he didn't stay on the kitchen floor when we were eating, he sat under the dining table, but he had a well earned rest and recovered from the trauma of having his very sensitive nose bombarded with yucky smelling seaweed. 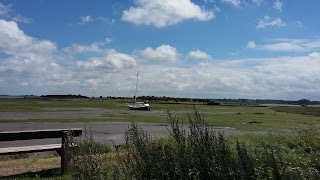 Then it was off home via a quick trip to Seasalter and another very lovely cuppa in good company (and in much more pleasant smelling surroundings). Our little orange doggy is gorgeous. He loves cuddles and going out for walks, he loves saying hello to other dogs (well apart from his niece, he still doesn't like her) and he loves his food. He also loves his toys. Max has a favourite toy; his plush burger and yes he will eventually devour it in an attempt to remove the squeaker, but that's fine because they only cost £2 each from the lovely Pets At Home store. Other than tearing it apart he likes to chase it around the house in his version of 'fetch'. Left to his own devices, he will quite happily push it down the stairs with his nose, chase after it, retrieve it then run back to the top of the stairs and start all over again. He can keep himself amused for quite some time doing this, but the minute he manages to get a human involved it all changes. The first thing you'll hear is a squeak and Max will put the burger by your feet. Now, you have to be quick here because if you're not, fetch turns straight into chase. He then does the normal doggy thing of looking expectant whilst waiting for you to throw his toy...and his off and...well the photo below says it all really. No, I told you already it is my burger! Eventually, he'll bring the burger back to you, but won't let you pick it up and runs around the coffee table with it until he's satisfied that you've lost interest in his toy. Then guess what? Squeak, look down at your feet and there's the burger, with Max looking at you wanting it to be thrown again. Pick up burger quickly and throw. Ask Max to return burger. Max brings burger back, changes game to chase. Max returns burger to be thrown. 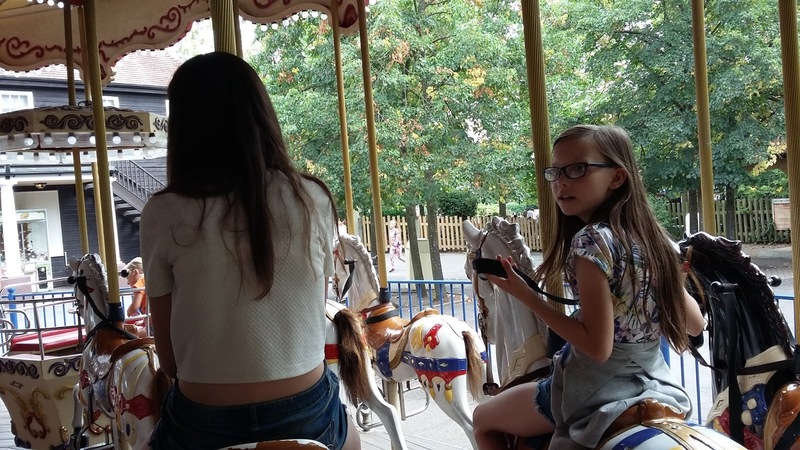 As a family, we love a good day out at Chessington World of Adventures. 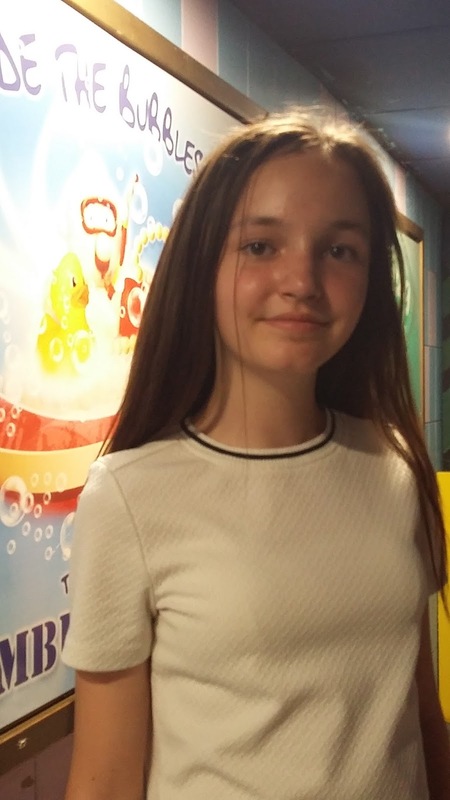 It's ideal for us as my both girls have now outgrown Legoland, and my youngest isn't quite big enough for some of the rides at Thorpe Park. It's also nice to have both the zoo and Sea Life Centre on site. 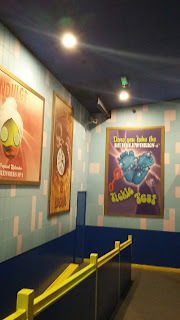 Anyway, since the announcement that Chessington will shortly be closing the much loved Bubbleworks ride, a visit during the school holidays was almost compulsory. So on Thursday off we went with some good friends for a day of fun It worked well as our party consisted of two mums, two 13 year olds and two 10 year olds. 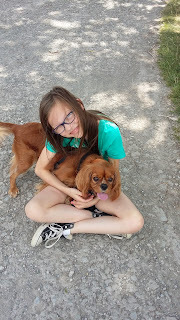 We travelled to the park separately with our two teens texting one another the whole route with traffic updates (which was handy as both the M26 and M25 were a bit of a nightmare). Almost two hours after leaving home, we finally parked up and started the trek to the park entrance. As you can imagine, school holidays + one of the most popular rides closing soon = one very, very busy park. That said we only waited about 20 minutes to get on our first ride, Dragon Falls. I usually avoid this ride like the plague, but as it was a rather hot day a nice water slide ride with the added bonus of being shot at with water pistols after the slide part was more than welcome. Well, that was until I realised just how steep the slide was and that there wasn't really much holding us in apart from a little rail to hold on to (which I did, for dear life, might I add). However, by this time we were floating in our little boat towards the top of the slide and it was too late to jump ship. I was in a boat with the two little ones who were showing not an ounce of fear and when I looked back to the others I could see the teens were quite happy too, although my mummy friend was looking much the same as I was feeling - unhappy! And then off we went down the slide, with the girls giggling away and me with my eyes tightly shut. Having survived we made our way around the park (stopping to have a picnic in the show area). As it was an extremely busy day, we decided to purchase fast passes for the two kids who wanted to ride Dragons Fury and for four of us to ride The Vampire. Having our fast pass slots, we were able to squeeze in a couple of rides whilst waiting. So off we went to churn our stomachs a little on the Jungle Bus. Then off to Dragon's Fury for the two crazies in the party to not only churn their stomachs, but to make themselves as dizzy as possible at the same time. 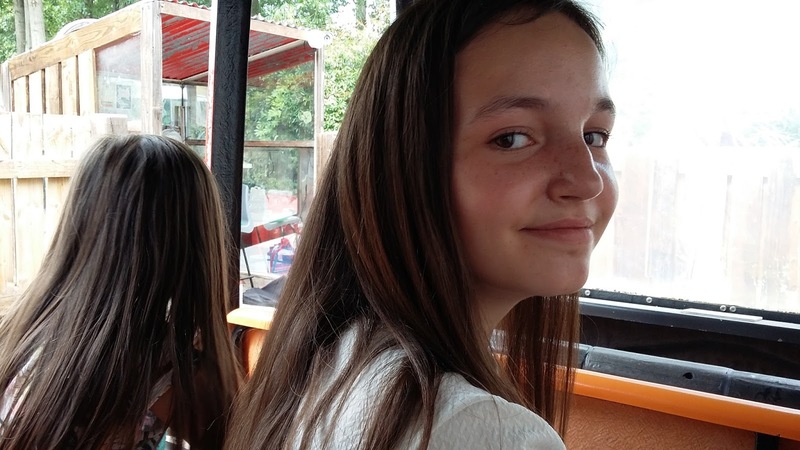 We observed from a safe distance, slightly alarmed at the amount of sway in the structure and with a growing feeling of nausea just from watching everyone spinning around in their car whilst travelling at speed along the roller coaster track. Next it was the Carousel. And then on to the main purpose of our visit, The Bubbleworks! 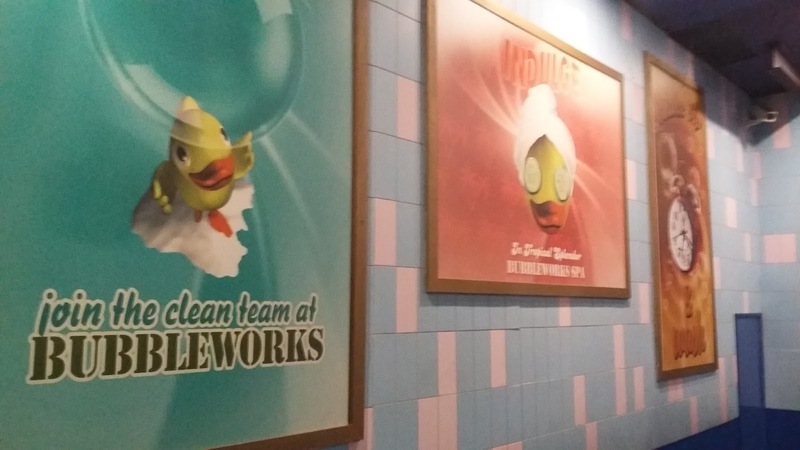 Who doesn't love this ride? It's 26 years old, it's really quite cheesy and that's what is just so appealing about it. 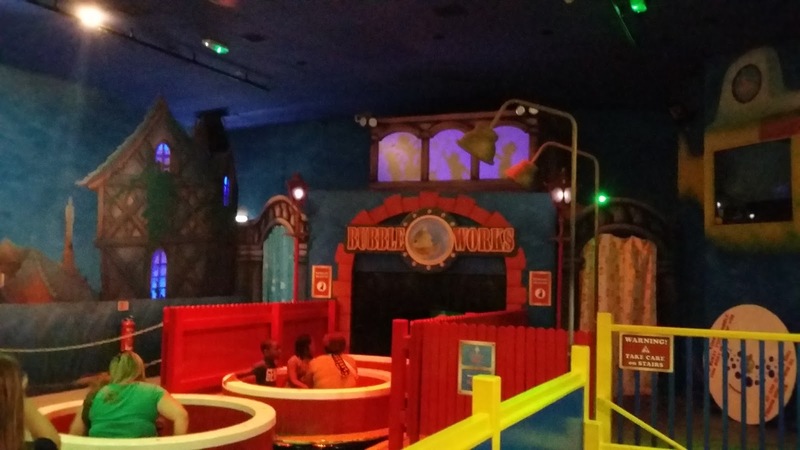 I marvel at the layers of dust on some of the plastic bubbles suspended from the ceiling and the funny little yellow ducks, but the best part is the archway of water jets you have to travel though towards the end of the ride, oh and let's not forget the obligatory repetitive music as you travel around in your little tub. 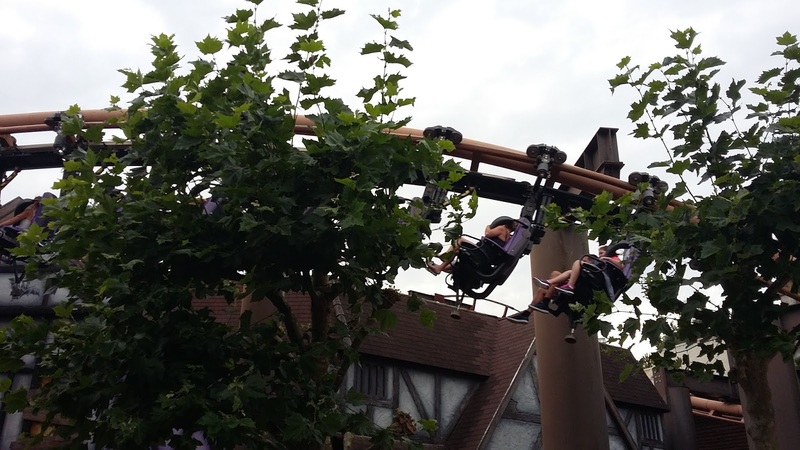 With our final ever trip on this legendary ride over, it was off to the Vampire to soar above and through the trees. Then off to the Rattlesnake. Now this had the potential to end badly, as the minimum height for the ride is 1.4 metres and my youngest is dreadful for slouching. No matter how much I tell her to stand up straight, she just will not!. However, it all worked out well and she was able to ride the Rattlesnake, but not until they'd stopped the ride to clean up after someone, who was unable to hold on to the contents of their stomach. Yuck! 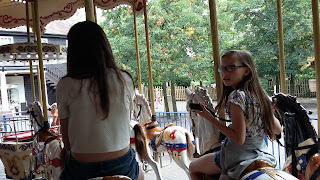 The kids managed to squeeze in one more ride before they shut the queue lines and after they were done we tucked into freshly cooked to order doughnuts before heading to a nice grassy area to sit and picnic a bit more whilst we waited for the main crowds to leave. Then it was off back to the cars and home for a well earned rest. Late last week, whilst waiting for the girls to return from their holiday, I decided to have a little clear out. Actually, it turned out to be quite a big clear out, but I also found one or two items I'd forgotten I even had. 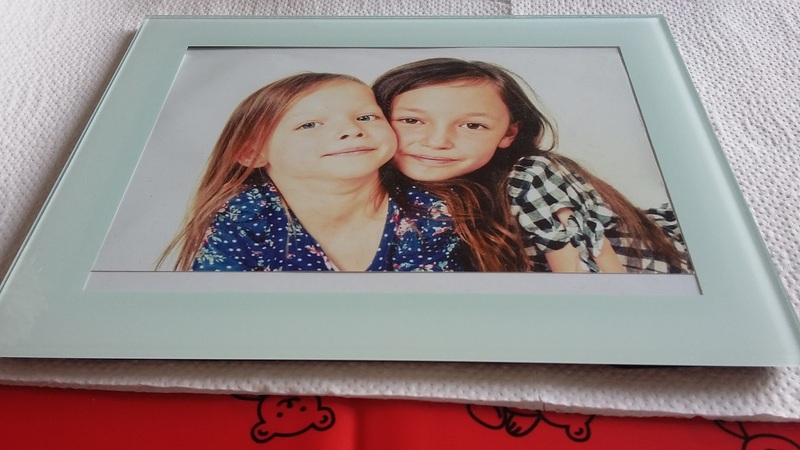 One of those items was a glass photo frame with a white frosted surround. Actually, that is probably a really rubbish description, so instead, here's a photo...of the photo frame (that just sounds odd, doesn't it?). Now, as you can see, this poor photo frame isn't, by any stretch of the imagination, ugly, but let's be honest, it's a little plain and just needed a little lifting. A bit like me when I don't want to wear a full face of make-up, but just enough to look presentable (where would we be without BB Cream, mascara and a bit of lippy?) Anyway, as always that's a bit off track, but in short, that was my aim to make it a little less boring, without detracting from it's simplicity. I have a confession to make at this point in my story, because I am completely obsessed with my glue gun. I love it! So when I rediscovered the frame, the first thought that sprung to mind was, 'Yay! Something to use the glue gun on!' I am really not sure that this is a natural reaction to have and may have to seek help if it continues; anyone with Glue Gun Anonymous' number please feel free to contact me. I toyed with the idea of placing buttons all around the frame, but as I said before, I wanted to keep it simple, whilst making it a little bit more interesting. Given the reaction of my eldest child (she was very excited and called her sister into the kitchen with 'look what mum's done'), I think I've succeeded. My mum is a funny old stick. She favours animals over people, has an Olympic Gold in worrying (well she would if there were one available), is a dreadful cook (honestly, the comments I got about my shiny hair when I was young are largely down to the amount of charcoal I consumed - everything was burnt to a cinder) and she doesn't have the greatest sense of humour in the world. That said, over the years she has given my dad and I quite a few laughs; all unintentionally. You see, my mum is notorious for using the wrong word for things. Think back many years ago to dear, sweet Ethel Skinner in Eastenders, that's my mum (well maybe she's not quite so bad, but she's on her way). Unfortunately, unlike Ethel, who lived with kind, tolerant people, my mum lives with my dad, who even in his 80's is still quick to pick up on her gaffs and call me to let me know what her latest one is. Profiteroles. You would think this was quite an easy one to get right wouldn't you? You'd be wrong. For years she has been unable to get this one right. Her version, Potiferolls. Not strictly the wrong word, this time an insane description to let us know just how painful her knee is, and I quote, 'It's like toothache in the knee'. What? My personal favourite. Biopsy. Some time ago mum had breast cancer which isn't amusing at all and thankfully it was caught very early on and dealt with quickly. However, mum did require a biopsy. It wasn't pleasant, but her version of it sounds really truly horrific. You see, as mum tells it, she had an autopsy. Really doesn't bear thinking about! Tsunami. Now we all know what causes a tsunami and the size of the waves etc, but all of this is totally lost on mum. One very, very rainy day, she informed my dad that if it didn't stop raining there would be a salami! Dad and I can't remember how this one came about, but it was a year or so after my grandmother had passed away. 'If your grandmother were alive today, she'd turn in her grave.' Not sure how this would have been possible unless my nan was a vampire and slept in a coffin when alive??? So that's an insight into the crazy world of my mother's conversations. It keeps dad and I amused and hopefully it's amused you a little too. 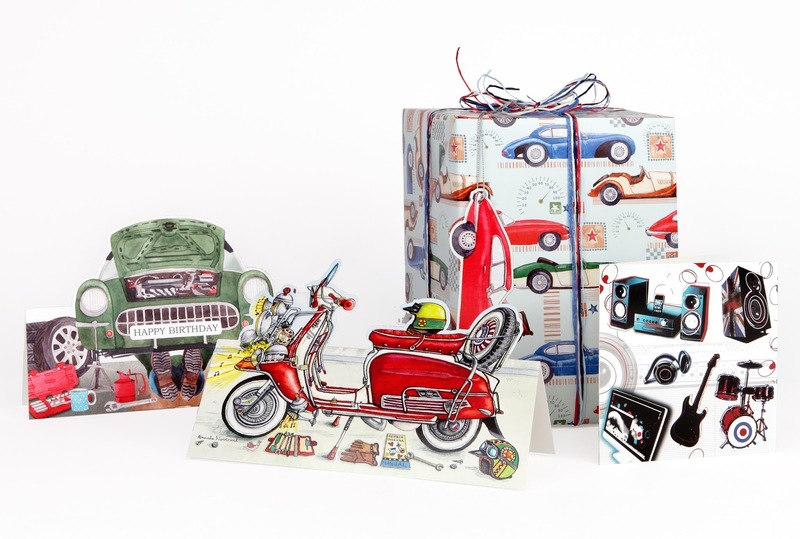 Earlier in the week I scooted off to my local Hobbycraft on a mission to get supplies for a crafting mission to keep the kids occupied over the remainder of the holidays. 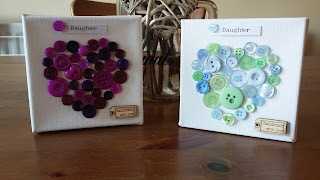 I started off with the button canvas pictures and am still quite chuffed with my efforts. The decoupage I put off as (in my mind) it was potentially going to be a messy job. Well, that is what I thought, how wrong was I? Hardly any mess at all and not nearly so time consuming as I'd thought it could be. All I needed was a plastic plate to pop my torn up pieces of decoupage paper on, a little dish for my PVA glue, one nice flat paint brush and some protection for the table. Easy peasy! 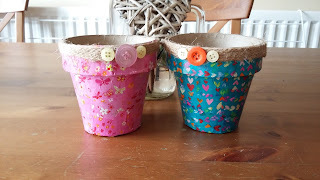 Now, the plan is the crafts I've done this week are dry runs for what I want to do with the kids next week. 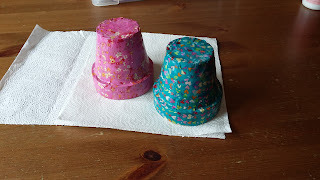 I'll update you on those as they happen, but I'm guessing the mess free crafting I've managed to complete is not going to be the case when they have a go. 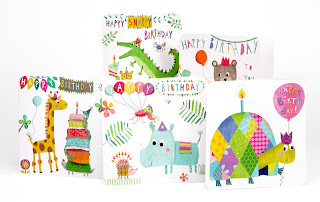 Whereas, I have covered my working area with a few carefully placed sheets of kitchen roll, I feel the need to invest in a lot of newspaper and perhaps a wipe clean table cloth before I even consider letting them loose with the glue. Anyway, back at the decoupaging. The most boring part of the process was tearing the paper into bits, not a bad start then. After that it was fun, fun, fun. I don't think I've painted glue on anything since I left school and I'd forgotten how much fun it was! I thought it was going to be quite a tricky process as, for those of you whom, like myself haven't decoupaged before, you have to first paint a little glue on your item, then with gluey brush, pick up a piece of paper, place said paper on the item you're decorating and (keeping it flat) paint over the top of it with a little more glue. I'll be honest, when I was reading the instructions on how to do this, I was extremely apprehensive. I am not known for my dexterity and am ridiculously clumsy. As my mum always says, if there is an awkward way of doing something, I will find it! However, I needn't have worried at all. It was relatively easy, a lot of fun and very therapeutic (especially whilst listening to some retro '80's album). So an album and a half later (thank you Belinda Carlisle for singing to me and allowing me to sing along), and I'd covered two mache plant pots. Now the really, really dull part started...waiting for the glue to dry. Now, I have it on good authority from the Hobbycraft lady that if you buy the decoupage glue it dries quicker than the PVA glue. However, for a first effort, the PVA glue was cheaper and can be used for other crafts as well. So I waited and I waited and I waited. Then decided that I may as well leave them overnight. 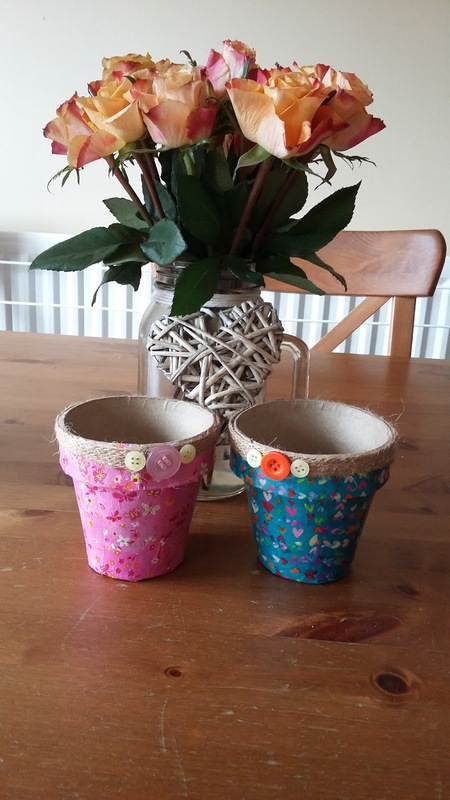 Now, the plan I had was to decoupage the inside of the pots today, but the girls are due back today and I wanted the pots to be ready so I have left the insides naked! So, to off set the brown inner of the pot, I used the glue gun to stick a length of jute ribbon around the top of the pots and covered the join with some coordinating buttons. I must admit, I surprised myself with my creative solution to the inner pot problem. I think they have worked out well (for a first attempt) and they'll be ideal for the girls to store away their pens and pencils, or for Libby, her make-up brushes. So here's to more crafting next week with my girls. Once again, watch this space for updates! I'm more of a bookworm than a crafter, but realising just how close Christmas is getting, gave me an idea of how to keep the kids (well the youngest, at least) occupied for the remainder of the holidays. A spot of DIY Christmas present crafting. In the past I've made jewellery, but lost interest when it became apparent that my feline friend wanted to join in the activity, whilst causing maximum chaos. I wouldn't recommend stringing beads onto wire with a cat chewing the already strung beads; it's a little frustrating, to say the least. So that was beading crossed off the list of potential craft projects. Looking for a spot of inspiration (not to mention, instruction) I headed to the one place I knew would give me a wide range of ideas whilst providing that, kid in a sweet shop feeling, Hobbycraft. I do enjoy a good browse of their website and their blog is fabulous for project ideas whatever level you're at. Moi? Well I am most definitely at beginner level. If we're talking sewing, I am at don't even bother level (I was politely kicked out of needlework at school; they considered it the best lesson for me to miss so that I could have my flute lessons). After much browsing I decided there were a couple of things I could cope with. Neither included glitter (get's everywhere and seems to hang around for weeks on end regardless of how much you vacuum). 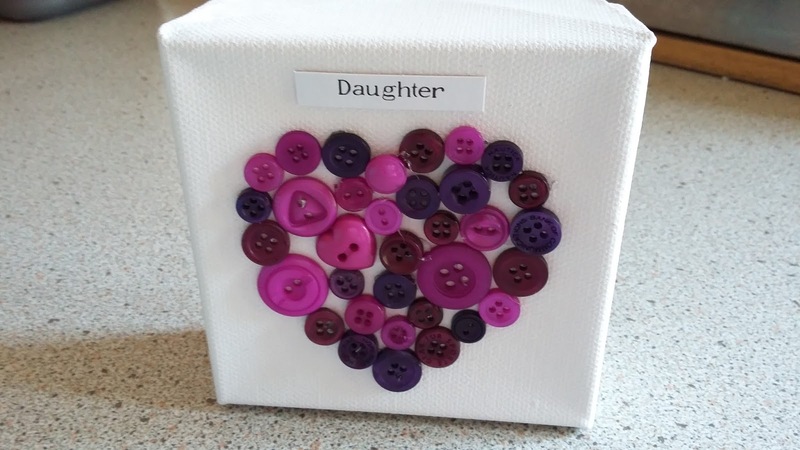 A bit of decoupage, sold as being easy for children to do, bonus, we'll give that a go, and what could be easier than sticking buttons onto a canvas? So off I go to my local Hobbycraft store. I pulled up in the car park full of excitement, went in to the store, picked up a basket and then proceeded to walk up every single aisle of both floors before putting a single thing in said basket. 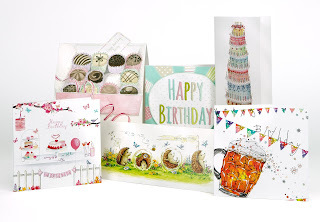 What is it about stationery stores and craft stores that makes you so fascinated (or perhaps it is just me). Under ordinary circumstances I wouldn't find a ball of wool remotely interesting (unless I morphed into a kitten, then I may do), but leave me in Hobbycraft and I am enthralled by the displays of wool, and the range of colours and textures. I even found myself coveting a crochet hook and I am a complete novice at that! Anyway, back on the ground floor of the store and I start my journey again. At least this time round the store I know where everything is, although I probably look a little suspect to the staff. Quite some time later and with a basket full of goodies I head off to the till to pay. The lovely lady confirms yes I have got the right glue for the decoupage and gives me a few helpful tips before packing everything away in the plastic storage box I've also purchased. Glad I did as I completely forgot to take a reusable bag with me. Oops, epic fail (again is it just me, or does anyone else feel hugely inadequate if they forget to take their bags shopping with them). It was like Christmas morning when I got home. I knew what was in the box, but was still super excited unpacking it and couldn't wait to get started. Now I've not yet done the decoupage. I need to do a dry run before the girls get back from their holidays so that I know what to do but the papers are so pretty and I am really looking forward to decorating the mache plant pots I got. I will keep you posted as and when they are completed, but you must promise not to laugh at my efforts. However, what I did do was the button canvas, well two of them. 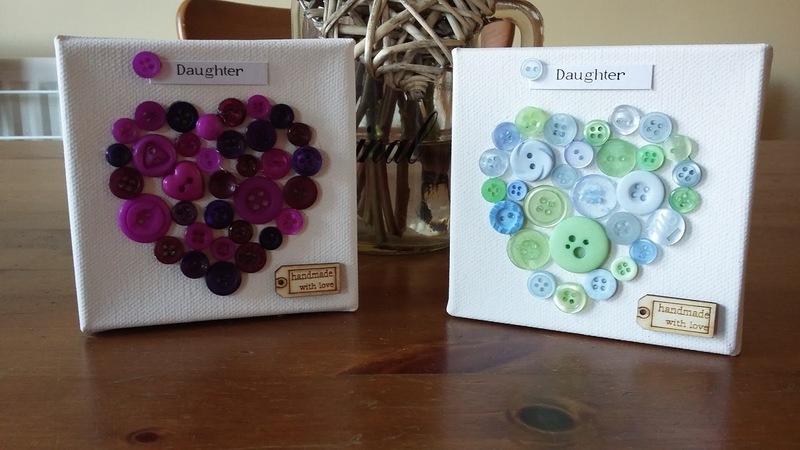 I wanted to make welcome home gifts for when the girls get back from their holiday (I miss them so much). 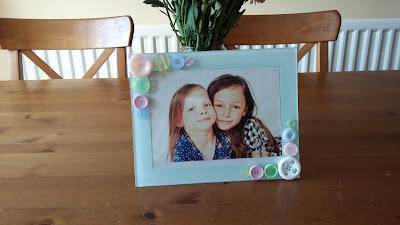 It was a nice easy little project, although being super clumsy I did manage to accidentally glue my thumb with the hot glue gun whilst trying to apply it to a teeny weeny button, but no harm done. That said, I have decided that for the kids we will purchase a cool glue gun; don't want any burnt child fingers! Libby's gift almost done, I embarked on Lydia's. No pinks for her, so went with greens and blues. This in itself was a chore as I had to tip all of the pastel selection of beads on to the table and then pick out the colours I wanted. The bigger issue was getting them back into the bag. 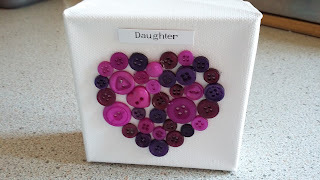 Note to self, next project decorate glass jars for storing buttons! Anyway, this second one was much easier to do as I was used to handling the little buttons. And finally, the finished articles. I'm actually quite pleased with them. For a first attempt they are most definitely passable. Hopefully, the girls will like them and will know just how much I've missed them this week. Well what a fun giveaway it's been. Thank you all for taking the time to enter and for following me on Twitter and thank you for some of the lovely comments you've made about the cards. It's always nice to get positive feedback. So to the part you are all wanting to hear. Congratulations Cerys. 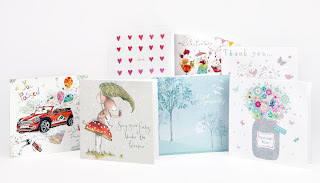 I will be in touch with you via e-mail to confirm and to let you know when to expect your lovely prize. For those of you who didn't win. Don't despair. If you place an order through my website by 20th August I will send you a free gift of this cute jotter pad. Please note, you will need to contact me via e-mail: lisadscards@gmail.com with your order reference and address details. Yes Max is an Uncle; well a half Uncle. Max's big sister Darcy had a litter of two pups earlier this year, both girls, both Ruby and Whites, both cute as buttons. My mum lost her Cocker Spaniel some time ago now and has really missed him. Growing up we were never without a dog in the house. 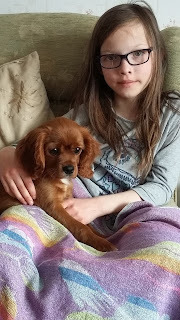 Mum had spent time visiting rescue centres and did indeed rescue a little dog whom she was told was fine with cats. She wasn't fine, and having attacked both cats they had to return her to the centre. This really broke mum's heart and she was a bit put off rescuing again in case the same thing happened. Enter the pups. Now as I've already said in a previous post we had a King Charles Spaniel then a Cavalier King Charles Spaniel when I was growing up and my mum has always wanted another one. Max was the model pup, doing very little chewing of anything he shouldn't (only real casualties are three of the four corners of my coffee table and even they aren't too bad) and generally being very laid back. 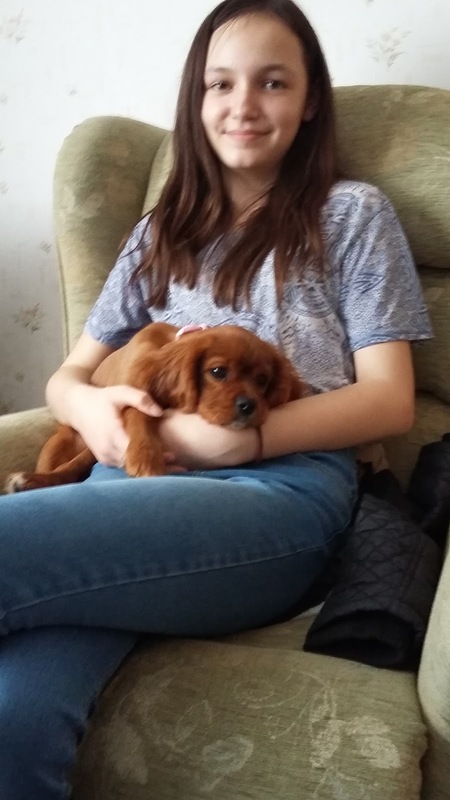 Considering how good Max was/is, mum decides (with persuasion from the three of us) to give a home to one of the pups, Winnie. Winnie is a sweet girl, she's full of puppy love and puppy kisses and loves to play with anyone who is willing. It goes without saying, that like all Cavi's she loves a lap to cuddle up on. However, laid back like her Uncle Max, she is most certainly not! She's actually a bit of a pickle. She has chewed far more than Max ever did (including tearing some of the wallpaper off the wall - interior decorating canine style), jumping the stair gate (before mastering staircase descents) and stealing dad's sandwich. 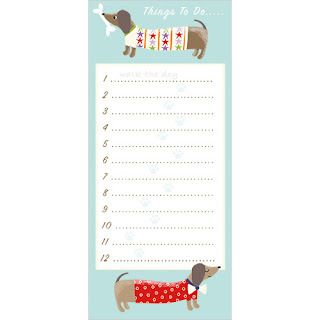 Oh and one I really wish I'd seen, tying my mum up in knots by running round and round her legs on her extendable lead! We all think she's adorable though, well apart from Max. Max doesn't think she is adorable at all. He thinks she is the very epitome of annoying! Now, much as I love Winnie, I do see why Uncle Max finds her irritating and doesn't like her. If she were trying to swing on my ears, I wouldn't be happy either. I think she's just a little too energetic for her Uncle at the moment. So that's Winnie, a little bundle of love and energy. I just hope Max doesn't mind me posting her pictures on his page! 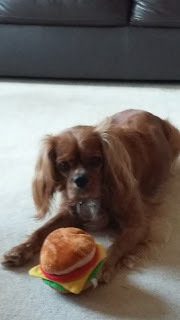 We love our little orange dog! He is our baby and like all babies, if they're poorly you feel bad that you can't make them better. 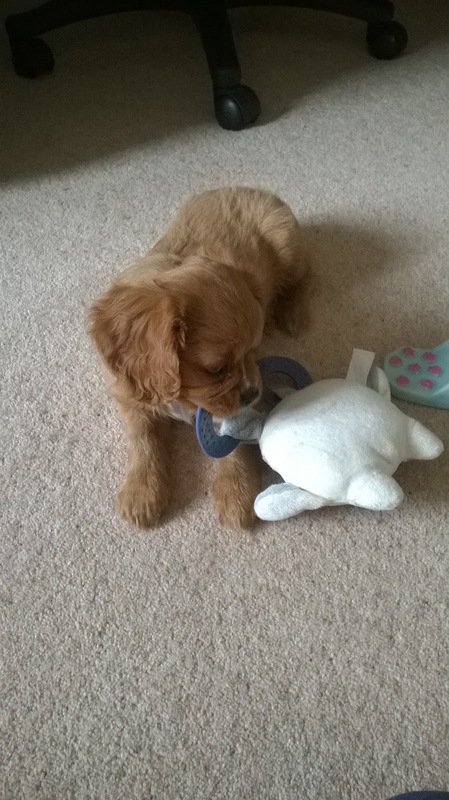 Thankfully, Max has been very healthy, just the odd bit of sickness, but puppies and dogs do have a nasty habit of picking up anything and everything in their mouths, yuk! However, he has suffered from a condition that is quite common amongst his breed, petellar luxation. Now I am not a vet and most definitely not remotely medically trained, so the following information is very basic. Petellar luxation, is a condition where the kneecap dislocates. Max had the condition in both leg,s with one slightly worse than the other. We noticed it a couple of months before his first birthday when he yelped then limped about for a bit. 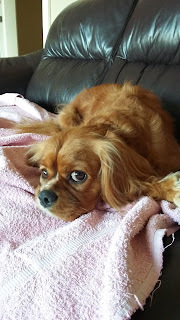 I was already aware of the condition and suspected that it may be the cause of his pain so after a few days observing him took him to the vet who confirmed it was a petellar luxation and surgery was booked to correct the worst affected knee. The surgery is a bit yukky, it involves hollowing out the socket so it's deeper then pinning the knee in place (again very basic, but I am not a vet etc.). 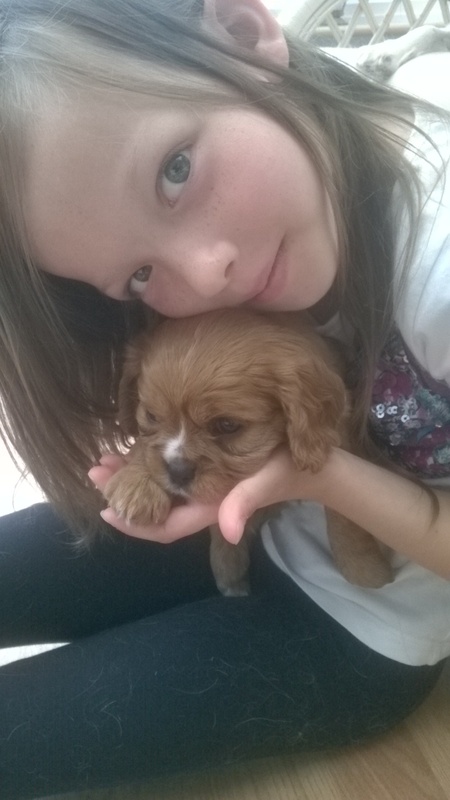 Max was a star though and got lots of tlc when he came home to 8 weeks cage rest. He looked very sorry for himself in his crate and we all felt really mean, but he was soon back on his feet. 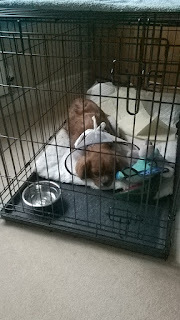 That was Easter, and by Christmas he was back in the crate resting after another operation to correct his other knee. 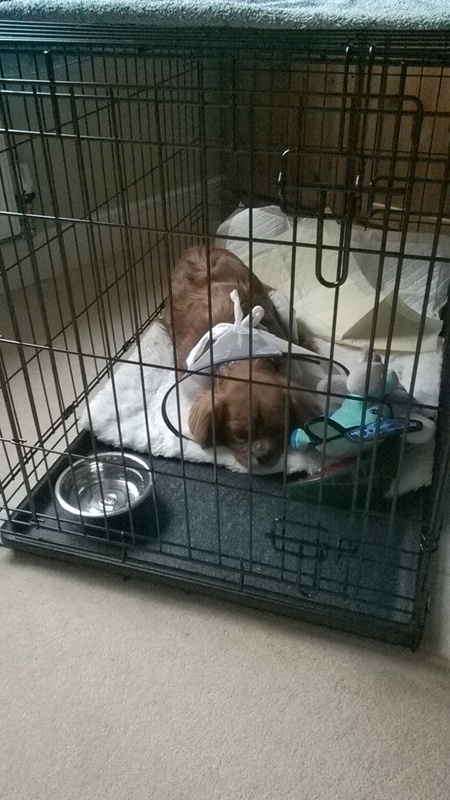 He looked seriously fed up in the crate second time round, but once again after the 8 weeks he was able to start gentle exercise and was back on his feet. We did feel really mean and horrid, putting poor pup through surgery twice in one year, but I'm glad we did. Yes it was expensive, especially as my, then pet insurers refused to pay for his second operation (my fault, for choosing rubbish insurance), but it was so worth it. Max is now a happy, healthy, pain free doggy. He runs, he jumps and is just able to be a proper active dog now and we love him! 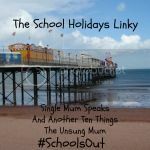 We have now completed (or should that be survived) three weeks of the summer holidays! It's not been so bad as previous years either. I know we're only half way through, but so far we've not had too many sibling arguments; I think this may be down to age and the fact that Miss D now has her own friends and is a little more independent. Whatever the reason, it's making for a much easier and pleasant summer break. That in mind, I suddenly realised at the beginning of last week that we really needed to go school shoe shopping for Miss D as she returns to school a week earlier than her sister. No need for shoes for Miss L, she had new ones at the end of the July term as she had managed to make a huge hole in the bottom of one of her Clarks shoes. It looked as though she had been pirouetting in the playground for at least a month without a break! She hasn't, I hasten to add, it just looked that way. Anyway, back to the point. Miss D needed school shoes. Now, Clarks is clearly not cool if you're a teenage girl and to be honest, much as I love them, when we looked I wasn't impressed with the range they had for older girls, so off we trot to my favourite place to be in the whole wide world, Bluewater (ok, I loathe the place, but needs must). We were on a Kickers hunt, these are cool if you are a teenage girl; if you are a parent of a teenage girl they are sensible and look like they'll last, offering value for money, provided your child doesn't have a growth spurt; in which case be prepared to shell out another £70.00 pounds or so. First stop, Schuh. We know they stock them, but they only have a limited range so off we go to widen the search. We went into every shoe shop in the building and every shop that might sell shoes. What we discovered? Not many shops stock Kickers. We also had to do a bit of a detour along the way to keep Miss L happy, so we had a couple of stops in Game (one visit, just wasn't enough for her), a sniff around Lush (oh how I love Lush, I could spend a whole day in there just smelling all the lovely soaps and bathbombs - although I imagine they may call security and perhaps the men in white coats if I tried) and a lot of coveting of things in Smiggle (oh my goodness, they have some amazing back to school stationery). Anyway, it was a nice distraction from the task in hand which was proving a whole lot more difficult than I had anticipated when I suggested the trip. Long story short, we ended up back in Schuh, after walking round the upper level one and a half times and the lower level once. By this point, I have now had enough of people in general (to clarify, I like people, just not in shopping centres, it's the obligatory shopping dawdle I can't cope with) and I absolutely do not want to shoe shop again for another 365 days. so resolve to not leave until we have purchased said school shoes. Miss D and I agree that we need to look at shoes other than Kickers. We get served by a super lovely and patient young lady. She kindly measured Miss D's feet and then went and found the shoes she liked (two pairs in a shop full of shoes, she only liked two pairs). Super lovely and patient young lady returns with shoes and kindly obliges when we decide we may need the next size up. She fits them and gets the fitting checked and yay after at least twenty minutes, we have shoes that Miss D likes and they fit! Happy days! Now, when we left home she was adamant she wanted Kickers and they must be lace ups and not shiny. Tried them on and she looked like a pencil in a plant pot (her feet just looked too big and heavy for her long, petite frame). What did we leave with then? A very pretty feminine pair of Dr. Martens in patent leather with t-bar and buckle, the complete opposite of what she thought she wanted, but I'm happy, Miss D's happy and all we need now is a school skirt. Thankfully, I know already that one won't be a stressful shopping trip, thanks to a compulsory school skirt and a quick visit to the school uniform outfitters. So the first thing I've asked Miss D when she told me of her plans, was 'What time do you think you'll be home?' Reply, 'Oh we'll probably only be out for about three hours.' This is the longest three hours known to man. I drop them off at 12pm. 3pm comes and goes with a phone call asking if she can have a sleepover with her friend that night. Miss D: 'OK I'll call Dad and ask him now. No I don't need a lift yet'. It's now 5.15pm so I text 'Do you need collecting yet?' No reply, look at Max, he's too cute to ignore and also probably in dire need of a walk so that he can relieve himself. Decide to walk Max, so off Miss L and I go, with dog in tow (well to be more accurate, off Max goes with his two humans in tow). Dog walk almost over, my phone rings. Anyway, eventually we all ended up at the house and she got her bits together for the sleepover. Thankfully she enjoyed the film, which is just as well, as Miss L wants to see it (ok, I confess, I do too) so she's going to have to watch it again with us next week. So once again, off they trot (thankfully taxi service is not required this time). Next day, I decide that the the sleepover, was probably more of an 'awakeover' and decide to write the morning off. The last thing I need is a grumpy over-tired teenager, winding up her younger sibling. So put off plans to meet up with friends until the afternoon. Still no sign of teenager at 11am. Decide to leave it twenty minutes (they might still be asleep), then text. Me: Hi. Just taking dog out. Do you want to go to the beach this afternoon? Me : Can you be back here for 2 so we can go? Did she get back before 2pm? Yes, of course she did and she had a good night. I was right, it was an 'awakeover', they didn't go to sleep until 3am, but that's the fun part of sleepovers. Was she grumpy? Surprisingly not, but she did take herself off to bed before 8pm that night. So to end my baby is growing up and getting more independent and that's an exciting time for her. 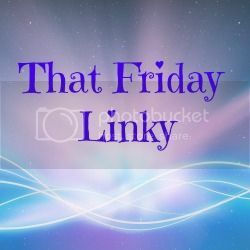 As amusing as I found this episode, it's also shown me just how important mobile phones and, particularly texting have become and whilst talking face to face with our children is vitally important, embracing technology and keeping the lines of communication open whilst they're out and about is a really useful tool. Just make sure they have their phones fully charged before they leave the house! For those of you who may not know, I have a bit of a thing for entering competitions. I first began this rather time consuming hobby some four years ago. 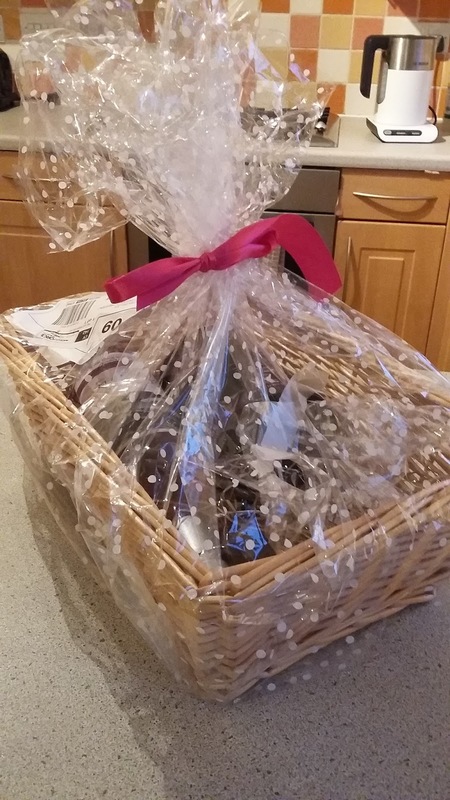 Just after starting I won a £50.00 Ryman's voucher (a stationery fan's dream), a shed load of fair trade loose teas, and a golfing holiday on a Scottish island (which I gave to a couple of golfing friends). I then had a break, but have now returned to the comping fold. Now, I would love to be able to tell you I'd won a round the world trip, several thousand pounds and a luxury car, but, I'm still waiting for those. However, I have won an overnight stay in the beautiful city of Bath. 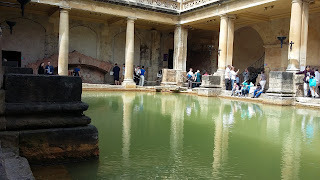 We had a great weekend in Bath and I would highly recommend it as an amazing destination. The Roman Baths are a must, and especially lovely if it's a beautiful day. Relaxing beside the baths with the sun shining down on you is so relaxing. I didn't want to leave, but the city shops beckoned and that is where we discovered this amazing street with all the umbrellas! 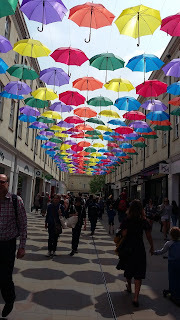 I have never seen anything like it and had to make a really conscious effort to look where I was going, rather than staring upwards at the rainbow of brollies. There are all the regular high street shops, some lovely little one off boutiques, lots of restaurants and coffee shops and an awful lot of dogs; real ones, obviously. I have never seen so many people walking dogs around a busy shopping centre on a Saturday and even taking them into some of the shops! I was in doggy heaven. Anyway, should you get the chance, you should absolutely visit Bath. And today (drumroll please), this arrived. I was just a little bit excited. 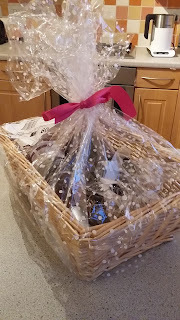 I mean who wouldn't be when a basket arrives full of goodies, wrapped in cello and tied with a bow? Through the cello it was a little difficult to see exactly what was inside, other than a bottle and a jar, but remove the wrapping and hey presto! A bottle of Rose (that will do nicely for the weekend, thank you), some luxury crisps, a jar of apple chutney and a salted caramel brownie, all of which results in one very happy girl. 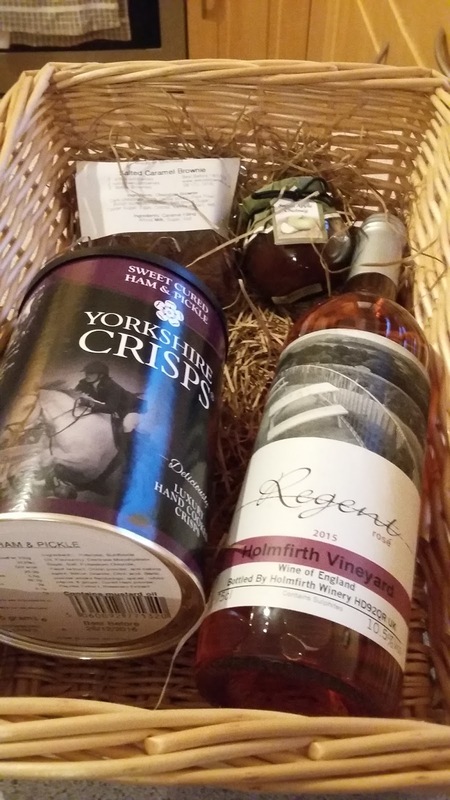 And the best bit, once the contents of the basket have been consumed, I get another basket to display my cards in. And the moral of the story, if you see a competition, enter it, you never know what might be coming your way.